A, Dose of 2.5 pmol of 16:4(n-3) (hexadeca-4,7,10,13-tetraenoic acid) was administered to tumor-bearing mice alone or combined with cisplatin; all depicted tumor volumes were measured on day 4 after therapy. B, Fish oil A (100 µL) and cisplatin were administered to tumor-bearing mice. Tumor growth was monitored; volumes were log transformed; and differences between the intervention groups were calculated using repeated measurement analyses; error bars indicate standard error of the mean (SEM). C, Fish oil A (100 µL), oxaliplatin, and irinotecan were administered to tumor-bearing mice; all depicted tumor volumes were measured on day 6 after therapy. D, Tumor-bearing mice were treated with cisplatin, pure fish oil A (100 µL), or fish oil A diluted 1:10, 1:100, or 1:1000 in sunflower oil (SFO). Fish oil A (100 µL) and the combination of SFO (100 µL) and cisplatin were administered as controls; all depicted tumor volumes were measured on day 4 after therapy. All P values represent the comparison with vehicle unless otherwise indicated by group-spanning brackets. All whiskers and box plot points represent the distribution of the parameters at fixed times. Three fish oils were administered to 6 volunteers each in either 10- or 50-mL doses; each graph line represents 1 volunteer. Calculated quantities of ingested 16:4(n-3) are shown in parentheses in the panel labels. The average area under the curve (AUC) (0-8 hours) was calculated for each fish oil; whiskers and box plots represent the distribution of the parameters at fixed times. A, Undifferentiated fish oil A administered to mice; plasma withdrawn and evaluated for 16:4(n-3) levels. B, Dose of 543 pmol of 16:4(n-3) administered to mice; plasma withdrawn and evaluated for 16:4(n-3) levels. C, Dose of 69 µmol of EPA administered to mice; plasma withdrawn and evaluated for 16:4(n-3) levels. D, Dose of 69 µmol of EPA and cisplatin administered to tumor-bearing mice and tumor volume plotted; whiskers and box plots represent the distribution of the parameters at fixed times (P value represents comparison with vehicle). E, Dose of 690 nmol of EPA and cisplatin administered to tumor-bearing mice; tumor growth monitored. Error bars in panels A, B, C, and E represent standard error of the mean (SEM). As can be seen by the quantities of 16:4(n-3) contained in the ingested fish portions (shown in parentheses in the panel labels), mackerel and herring contained high levels, and salmon and tuna contained low levels. Each fish portion of 100 g was ingested by 5 volunteers; plasma samples were then taken, evaluated, and plotted. In the box plot, the average area under the curve (AUC) (0-24 hours) was calculated; whiskers and box plots represent the distribution of the parameters at fixed times. eTable 1. Accuracy of 16:4(n-3) measurements in fish oil was tested by adding different amounts of C16:4 to diluted oil samples together with 1.56 pmol of internal standard d6-C16:3(n-3). Samples were subjected to normal phase solid-phase extraction cleanup. eTable 2. 400 anonymous questionnaires regarding use of food supplements were handed out to patients treated with chemotherapy at the department of medical oncology at the UMC Utrecht. Results were analyzed and significance was calculated. eTable 3. A panel of commonly consumed fishes was homogenized and 16:4(n-3) content was measured on three independent occasions. Mean 16:4(n-3) values and standard deviations are shown. US Food and Drug Administration. FDA Announces Qualified Health Claims for Omega-3 Fatty Acids. http://www.fda.gov/SiteIndex/ucm108351.htm. Accessed February 26, 2015. National Working Group of Oncologic Dieticians. Fish oil and chemotherapy? advice of the National Working Group of Oncologic Dieticians (LWDO) [in Dutch]. http://www.ikc.nl/uploaded/docs/Landelijk/Werkgroepen/LWDO/2011-10%20Visolie%20en%20chemotherapie_advies%20LWDO.pdf. Accessed February 26, 2015. Importance Our research group previously identified specific endogenous platinum-induced fatty acids (PIFAs) that, in picomolar quantities, activate splenic macrophages leading to resistance to chemotherapy in mouse models. Fish oil was shown to contain the PIFA 16:4(n-3) (hexadeca-4,7,10,13-tetraenoic acid) and when administered to mice neutralized chemotherapy activity. Objective Because patients with cancer frequently use fish oil supplements, we set out to determine exposure to 16:4(n-3) after intake of fish or fish oil. Design, Setting, and Participants (1) In November 2011, 400 patients with cancer undergoing treatment at the University Medical Center Utrecht were surveyed to determine their use of fish oil supplements; 118 patients responded to the questionnaire (30%); (2) pharmacokinetic analysis of the 16:4(n-3) content of 6 fish oils and 4 fishes was carried out; (3) from April through November 2012, a healthy volunteer study was performed to determine 16:4(n-3) plasma levels after intake of 3 different brands of fish oil or 4 different fish species. Thirty healthy volunteers were randomly selected for the fish oil study; 20 were randomly selected for the fish study. These studies were supported by preclinical tumor experiments in mice to determine chemoresistance conducted between September 2011 and December 2012. Main Outcomes and Measures (1) Rate of use of fish oil supplements among patients undergoing cancer treatment at our institution; (2) levels of 16:4(n-3) present in 3 brands of fish oil and 4 species of fish; and (3) plasma levels of 16:4(n-3) present in healthy volunteers after consuming fish oil or fish. Results Eleven percent of respondents reported using omega-3 supplements. All fish oils tested contained relevant amounts of 16:4(n-3), from 0.2 to 5.7 µM. Mouse experiments showed that addition of 1 µL of fish oil to cisplatin was sufficient to induce chemoresistance, treatment having no impact on the growth rate of tumors compared with vehicle-treated controls (estimated tumor volume difference, 44.1 mm3; P > .99). When the recommended daily amount of 10 mL of fish oil was administered to healthy volunteers, rises in plasma 16:4(n-3) levels were observed, reaching up to 20 times the baseline levels. Herring and mackerel contained high levels of 16:4(n-3) in contrast to salmon and tuna. Consumption of fish with high levels of 16:4(n-3) also resulted in elevated plasma levels of 16:4(n-3). Conclusions and Relevance All tested fish oils and herring and mackerel fishes contained relevant levels of fatty acid 16:4(n-3), a fatty acid with chemotherapy-negating effects in preclinical models. After ingestion of these fish oils or fishes, 16:4(n-3) was rapidly taken up in the plasma of human volunteers. Until further data become available, fish oil and fish containing high levels of 16:4(n-3) may best be avoided on the days surrounding chemotherapy. With the intention to influence and improve their health status, patients with cancer often adopt lifestyle changes.1 Burstein et al2 documented a 3-fold increase in food supplement use after people were diagnosed with cancer. However, there is a growing concern that simultaneous use of supplements and anticancer drugs may negatively influence treatment outcome. Omega-3 fatty acids are popular supplements estimated to be used by 20% of US patients with cancer, most often in the form of fish oil.3 Fish oil is a highly complex, nonstandardized mixture of fatty acids produced from various fish species. In general, product information is limited to total omega-3 content and the concentrations of the 2 most abundant fatty acids, eicosapentaenoic acid (EPA) and docosahexaenoic acid (DHA). Although the US Food and Drug Administration (FDA) has advised not to use more than 3 g of EPA and DHA per day, 2 g of which may be from a dietary supplement,4 omega-3 supplement production does not require FDA review or approval. As such, fish oil content may vary between supplements and sometimes even from batch to batch. It remains unclear which other biologically active molecules are present in the mixtures. To address these concerns we analyzed PIFA content in a panel of fish oils and found relevant levels of 16:4(n-3) in all tested fish oils. To assess the consequences of our preclinical findings for patients with cancer taking fish oil, a healthy volunteer study was designed. Different doses of fish oil were administered to volunteers followed by repeated measurements of 16:4(n-3) in plasma. Finally, we explored 16:4(n-3) levels in fish species and determined the effects of fish consumption on 16:4(n-3) pharmacokinetics and supported our findings with preclinical studies. Fish oil supplements are frequently used among patients undergoing cancer treatment. We aimed to determine the effect of fish oil intake on plasma levels of fatty acid 16:4(n-3), which has been shown to induce resistance to chemotherapy in preclinical mouse models. On intake of the recommended daily amount of 10 mL of fish oil, significant rises in plasma levels of 16:4(n-3) were found in healthy volunteers. Certain types of fish were also shown to contain 16:4(n-3), and fish intake led to high plasma levels of 16:4(n-3). Ingestion of fish oil and even fish might be harmful during chemotherapy. The study was approved by the University Medical Center Utrecht ethics committee and conducted from April through November 2012 in accordance with the Declaration of Helsinki. Since this was an explorative study, no sample size calculation was performed. Volunteers were recruited via advertisements that had been approved by the ethics committee and were enrolled if they met the inclusion criteria (age ≥18 years, no comorbidities, no pregnancy or breast feeding, no allergy to fish or related products, no ingestion of fish oil products within 2 weeks before the start of the study, and no ingestion of fish within 1 week before the start of the study). After giving informed consent, volunteers ingested a single dose of 10 or 50 mL of 3 commercially available fish oils (n = 6 per group; total n = 30), and then blood samples were taken. Three fish oils were selected containing variable levels of 16:4(n-3), but all were produced from anchovies and sardines so that fatty acid intake was standardized as much as possible. Different vials from the same fish oil batch were pooled and analyzed for 16:4(n-3) content before intake. Two volunteers withdrew from the study owing to technical problems taking repeated blood samples. For the fish study, volunteers received 100 g of raw salmon or tuna, smoked mackerel, or cured herring (n = 5 per group, total n = 20; 11 volunteers in the fish study also took part in the fish oil study). Fish was obtained fresh from a local fish trader and kept on ice at all times. Samples of the fish were homogenized and analyzed, and 16:4(n-3) concentrations were determined. There was a 2-week follow-up period. Blood was collected from the volunteers in BD Vacutainer CPT cell preparation tubes with sodium citrate (Becton Dickinson) before any fish or fish oil ingestion and then one-half, 1, 2, 4, 6, and 8 hours after ingestion. In the fish study, blood was also collected 24 hours after ingestion, since normalization to baseline plasma levels of 16:4(n-3) was not reached within 8 hours in the fish oil study. After centrifugation (2300 g, 10 minutes), plasma was stored at −80°C until analysis. To 100 μL of plasma, 20 µL of internal standard d6-16:3(n-3) (7,8,10,11,13,14-2H6)7,10,13-hexadecatrienoic acid) (0.078 µM) in 400 µL of methanol was added, followed by liquid-liquid extraction, reconstitution in 100 µL of chloroform, and solid-phase extraction (SPE) on Sep-Pak 500-mg aminopropyl (NH2) SPE cartridges (Waters Corporation). The eluate containing fatty acids was evaporated and dissolved in 100 µL of acetonitrile. Chromatographic separation was achieved on a ACQUITY UPLC BEH C18 column (2.1 × 100 mm) (Waters), and detection by triple-quadruple mass spectrometry (TQMS Xevo; Waters). The data acquisition was performed with the electrospray source operating in negative mode with multiple reaction monitoring settings: 16:4(n-3): 247.23 > 203.23 and d6-16:3(n-3): 255.38 > 211.27. A calibration curve (0-500 nmol/L 16:4(n-3) in plasma) was included in each analytical run. Samples containing high 16:4(n-3) levels were diluted and reanalyzed. This assay was extensively validated (eTable 1 in the Supplement)8: coefficients of variation at concentrations of 5 nmol/L and 80 nmol/L were 7.7% (n = 10) and 1.8% (n = 10), respectively. The 16:4(n-3) detection limit was 1.1 nmol/L; the limit of quantification was 3.0 nmol/L. The analysis was linear (<5% deviation) in plasma in concentration ranges of 0 to 500 nmol/L. For oil and fish quantification of 16:4(n-3), samples were diluted 1:50 in chloroform; 1.56 pmol of internal standard d6-C16:3(n-3) was added; and NH2 SPE cleanup was performed. Accuracy was tested by adding different amounts of C16:4 to the oil samples. Recovery of the added amounts is detailed in eTable 1 in the Supplement. After establishment of this method, 6 randomly selected fish oils were analyzed for 16:4(n-3) content. For all fish oils, 3 independent batches were measured. Mouse experiments were conducted as reported previously,5 in agreement with Dutch Law on Animal Experiments and approved by the University Medical Center Utrecht Animal Care Ethics Committee. The C26 cells were maintained in Dulbecco’s Modified Eagle’s Medium (Sigma-Aldrich) containing fetal calf serum–penicillin-streptomycin; 1 × 106 cells were implanted subcutaneously into BALB/c mice. Tumor size was determined by calipers; volume was calculated 0.5 × length × width2. When tumors reached a volume of 50 to 100 mm3, therapy was started using 6 mg/kg of cisplatin, 10 mg/kg of oxaliplatin, or 100 mg/kg of irinotecan intraperitoneally (PCH Pharmachemie). Commercially available fish oil, obtained via internet stores; pure sunflower oil (Sigma-Aldrich); EPA (Cayman Chemicals); 16:4(n-3); or vehicle were orally administered by gavage. The 16:4(n-3) was purified from algae.9 In preparation for pharmacokinetic analysis, cardiac punctures were performed, and blood was collected in EDTA (ethylenediaminetetraacetic acid) tubes, centrifuged (1800g, 10 minutes), and stored at −80°C until analysis. Experiments in which tumors were measured and plotted were performed at least twice with at least 8 mice in each treatment group. For pharmacokinetic studies, at least 3 mice were used per time point per treatment group. An anonymous, voluntary, nonvalidated questionnaire was approved by the medical ethical authority and handed out to patients undergoing active cancer treatment who visited the medical oncology outpatient ward at University Medical Center Utrecht in November 2011. Our aim was to determine supplement use among the patients. Every patient undergoing active cancer treatment was eligible; 400 questionnaires were handed out, of which 118 were returned and analyzed (30% response rate). Statistical analysis was performed using SPSS software, version 22 (IBM Corporation). Analysis of variance (ANOVA) was performed using the Tukey procedure to control the type I error rate, or a nonparametric Kruskal-Wallis test was performed followed by Mann-Whitney for pairwise comparisons. Bonferroni correction of P values for multiple testing was applied. For graphs depicting mouse tumor growth over time after therapy, volumes were log transformed, and differences between the intervention groups were calculated using repeated measurement analyses. All P values reported are 2-sided. To determine how prevalent PIFAs are in fish oil products, we analyzed 6 commercially available fish oils for 16:4(n-3) and 12S-HHT content. No 12S-HHT could be detected in the fish oils, but all fish oils contained substantial levels of 16:4(n-3), with averages ranging from 0.2 to 5.7 µM (Table). We therefore focused on 16:4(n-3). Next, purified 16:4(n-3) was tested in mice with subcutaneous C26 tumors. When 6 mg/kg of cisplatin was administered intraperitoneally, tumor growth was suppressed. However, the combination of cisplatin with as little as 2.5 pmol of orally administered 16:4(n-3) induced virtually complete chemoresistance. For vehicle vs cisplatin, there was an estimated tumor volume difference of 142.4 mm3 (P = .001); for cisplatin vs cisplatin plus 16:4(n-3), there was an estimated tumor volume difference of 95.5 mm3 (P = .04) (Figure 1A). One hundred microliters of fish oil A, which contained high levels of 16:4(n-3), also induced resistance to cisplatin therapy (t = −2.79; P = .01) (Figure 1B), whereas fish oil monotherapy did not alter tumor volume compared with vehicle-treated mice. The addition of fish oil also reduced the activity of other chemotherapeutic agents compared with the agents alone. For irinotecan, there was an estimated tumor volume difference of 166.3 mm3 (95% CI, 13.31-319.36 mm3) (P = .03); for oxaliplatin, there was an estimated tumor volume difference of 147.1 mm3; 95% CI, 0.07-294.11) (P = .05) (Figure 1C). To determine the relationship between 16:4(n-3) levels and chemoresistance, a dose response study was performed. Using fish oil A, 100 μL, 10 μL, 1 μL, or 0.1 μL was diluted with sunflower oil to a total volume of 100 μL. The sunflower oil did not contain any 16:4(n-3) and did not affect chemotherapy activity. For vehicle vs cisplatin plus sunflower oil, there was an estimated tumor volume difference of 82.5 mm3 (P = .03) (Figure 1D). Tumors in mice treated with cisplatin plus 1 μL of fish oil A did not grow significantly differently from vehicle-treated tumors. This roughly corresponds to a dose of 3 mL for an average-sized patient, a dose well below the recommended daily amount of 10 mL (Figure 1D). Since all tested fish oils contained detectable levels of 16:4(n-3), our preclinical findings suggested a potential adverse effect for patients undergoing cancer treatment who were taking supplements containing fish oils. Of 118 patients who responded to the questionnaire, 35 (30%) reported regular use of nutritional supplements (eTable 2 in the Supplement). Although this percentage is lower than reported in the United States,2,3,10 still 11% of our responders (n = 13) used nutritional supplements containing omega-3 fatty acids, most often in the form of fish oil (38% of omega-3 users [n = 5]). Eleven of the respondents (84% of omega-3 users) reported continuing omega-3 intake during chemotherapy, and 6 of these reported notifying their physician. With fish oil use being so widespread, we aimed to study 16:4(n-3) uptake in the plasma of healthy volunteers after ingestion of either 10 mL (the recommended daily amount) or 50 mL of fish oil. Three different fish oils were used. Fish oil A contained 5.4 μM of 16:4(n-3); fish oil B, 0.8 μM; and fish oil C, 6.2 7 μM. Per fish oil, 1 batch was used for the study; therefore, the contents differ from the average values reported in the Table. In total, 30 volunteers were included, 53% men and 47% women. Although the fish oil was generally well tolerated, mild bloating and nausea were observed following intake of the 50-mL fish oil dose, a dose below that safely administered in a previous study.11 The mean (SD) baseline level of 16:4(n-3) in plasma was 11.4 (8.1) nM. In all volunteers, plasma levels increased following fish oil intake, most reaching maximum levels 4 hours after consumption (Figure 2A-F). The recommended daily amount of 10 mL was sufficient to induce clear increases in 16:4(n-3) levels in plasma (Figure 2A, C, and E). An almost complete normalization was observed 8 hours after the 10-mL fish oil dose intake, whereas a prolonged 16:4(n-3) level elevation was present after the 50-mL dose (Figure 2B, D, and F). For all fish oils, the magnitude of the plasma peak was discrepantly high compared with the calculated 16:4(n-3) intake. For instance, 50 mL of fish oil A contained 272 nmol of 16:4(n-3), whereas the plasma levels after ingestion of fish oil A rose to 400 nM. Furthermore, although fish oil B contained considerably lower 16:4(n-3) levels than fish oils A and C, plasma level elevations and areas under the curve were comparable (Figure 2G). This suggests that other fatty acids in fish oil are metabolized to 16:4(n-3) in the body. Next, we aimed to examine whether metabolism of fatty acids into 16:4(n-3) can take place. Therefore, 100 µL of fish oil A or its purified components 16:4(n-3) or EPA were administered to mice. Oral administration of 100 µL of fish oil A containing 543 pmol of 16:4(n-3) induced a rapid rise in 16:4(n-3) plasma levels in mice up to 1350 nM, which is higher than expected based on an average plasma volume of 1.5 mL. When lower amounts of fish oil were administered, plasma levels of 16:4(n-3) decreased accordingly (Figure 3A). Following administration of 1 µL of fish oil, 16:4(n-3) levels were too close to the detection limit of the assay to draw conclusions. Purified components of 100 µL of fish oil were administered to mice in a total volume of 100 µL; 543 pmol of purified 16:4(n-3) induced a trend toward a modest peak in 16:4(n-3) plasma levels (Figure 3B). The most abundant fatty acid in fish oil is EPA; 16:4(n-3) plasma levels after ingestion of 69 µmol of EPA, the amount present in 100 µL of fish oil A, remained lower than after fish oil ingestion (Figure 3C). In addition, 69 µmol of purified EPA was able to neutralize cisplatin effects in mice. For cisplatin vs vehicle, there was an estimated tumor volume difference of 137.2 mm3 (95% CI, 17.49-256.87 mm3; P = .02); for cisplatin plus EPA vs vehicle, there was an estimated tumor volume difference of 51.7 mm3 (95% CI, −67.97 to 171.41; P = .64) (Figure 3D). Since the purified EPA was found to contain 213.4 nmol/L of 16:4(n-3) when analyzed by triple-quadruple mass spectrometry, which theoretically corresponds to 17.8 pmol of 16:4(n-3) in the administered dose of EPA, we cannot distinguish between metabolization of EPA into 16:4(n-3) and a direct effect of 16:4(n-3) on chemoresistance. However, since 1 µL of fish oil A was sufficient to induce chemoresistance in mice, the purified EPA content of 1 µL of fish oil (690 nmol) was administered together with cisplatin. This low EPA dose, containing less than 0.2 pmol of 16:4(n-3), did not influence chemotherapy activity. Both cisplatin and cisplatin plus low-dose EPA significantly suppressed tumor growth (t = 2.48; P = .02) (Figure 3E). Thus, in clinically relevant amounts, 16:4(n-3) was responsible for chemoresistance, but EPA was not. However, we cannot rule out the possibility that metabolism of the large amount of unspecified fatty acids in fish oil may contribute to the observed plasma levels of 16:4(n-3). We questioned whether consumption of fish, rather than fish oil, would have similar effects on 16:4(n-3) plasma levels. First, the 16:4(n-3) content was analyzed in fish homogenates purchased on 3 independent occasions. Smoked mackerel and cured herring contained high amounts of 16:4(n-3), up to 1200 nM/100 g (eTable 3 in the Supplement). We next measured 16:4(n-3) levels in the plasma of healthy human volunteers after fish ingestion. We determined the exact amount of 16:4(n-3) present in the fish used for the study, which differs from the average 16:4(n-3) content of these fishes mentioned in eTable 3 in the Supplement. In total, 20 volunteers were included, 12 men and 8 women. Intake of 100 g of mackerel or herring resulted in substantial plasma elevations (Figure 4A, B, and E). Importantly, the fish used in the clinical study contained very high levels of 16:4(n-3). In contrast, intake of 100 g of salmon resulted in a small, short-lived peak, whereas consumption of tuna, which contained the lowest levels of 16:4(n-3), did not affect plasma levels (Figure 4C-E). Thus, consumption of fish rich in 16:4(n-3) enhanced plasma levels of this PIFA. Herein we show that fish oil contains substantial levels of 16:4(n-3), a fatty acid with potent chemotherapy-negating effects in preclinical models, and that intake of low doses of fish oil interferes with chemotherapy activity in mice. Ingestion of the recommended daily amount of fish oil by healthy volunteers rapidly increased 16:4(n-3) plasma levels. Since low concentrations of 16:4(n-3) were still active in mice, and since 11% of patients undergoing cancer therapy in our center used omega-3 supplements (and reports in the literature indicate even more frequent use), these findings may have important clinical implications. Our results add to the growing awareness that not all dietary supplements are beneficial or harmless: some may interfere with treatment outcome. A convincing example is the influence of St John’s wort on the pharmacokinetics of a large number of drugs.14 However, not all examples are so straightforward. 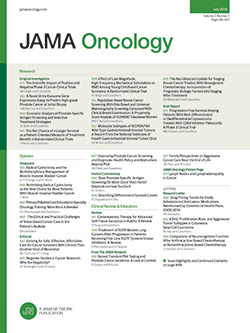 In the 1980s and early 1990s, numerous retrospective and prospective studies showed a significant association between β-carotene in the diet and lower incidence of lung cancer, which was supported by preclinical studies from that period.15-17 Subsequently, 2 large trials showed that β-carotene actually enhanced the number of lung cancer cases and overall mortality, reversing the opinion on these supplements.18,19 Will fish oil be the new β-carotene? In cardiovascular disease, enthusiasm regarding omega-3 supplements is waning after 2 recent meta-analyses, representing tens of thousands of patients, showed no beneficial effects of these supplements.20,21 The assessment of fish oil might be even more complex than that of β-carotene, since its composition is largely unknown and it is made from numerous fish species. We found large differences in 16:4(n-3) content between fish oils and between batches of the same fish oil. The major limitation of the current study is the difficulty to directly translate our preclinical data to the clinic. This would require a controlled clinical trial to show that 16:4(n-3)-containing fish oil inactivates chemotherapy. We consider this unethical, thereby limiting the information on the relationship of chemotherapy and fish oil to reports in the existing literature. Unfortunately, clinical studies are scarce, and their interpretation is difficult in the absence of a well-defined product. A recent study suggested that fish oil augmented the tolerability of cytotoxic therapy, but this study was underpowered, and statistical significance was not reached.22 Only 1 trial, published in 2011, has addressed fish oil supplementation on chemotherapy outcome. Murphy et al23 assigned patients with stage IIIB/IV non–small-cell lung cancer to platinum-based chemotherapy with or without fish oil supplementation. The product used contained 2.2 g of EPA and 500 mg of DHA per day. In contrast to our findings, this study showed a higher response rate and a trend toward a higher 1-year survival when fish oil was added as an adjuvant to chemotherapy.23 However, patient numbers were limited to 15 patients treated in the combined treatment arm. To obtain more clinical evidence, retrospective analysis of fish oil use and response to chemotherapy in large cohort studies would be interesting. However, dose and type of fish oil were not registered in relation to chemotherapy in such cohorts, and it remains unclear whether fish oil use was continued during chemotherapy. This makes interpretation of PIFA exposure impossible. Taken together, our findings are in line with a growing awareness of the biological activity of various fatty acids and their receptors and raise concern about the simultaneous use of chemotherapy and fish oil. Based on our findings, and until further data become available, we advise patients to temporarily avoid fish oil from the day before chemotherapy until the day thereafter. This advice was adopted by the Dutch Cancer Society, and by the Dutch National Working Group for Oncologic Dieticians.24 Although further evidence on the relation between fish consumption and chemotherapy activity is desired, we would currently also recommend to avoid herring and mackerel in the 48 hours surrounding chemotherapy exposure. Accepted for Publication: February 25, 2015. Corresponding Author: Emile E. Voest, MD, PhD, Department of Molecular Oncology, the Netherlands Cancer Institute, Plesmanlaan 121, 1066 CX Amsterdam, the Netherlands (e.voest@nki.nl). Published Online: April 2, 2015. doi:10.1001/jamaoncol.2015.0388. Author Contribution: Dr Voest had full access to all the data in the study and takes responsibility for the integrity of the data and the accuracy of the data analysis. Drs Cirkel and Houthuijzen contributed equally to this article. Study concept and design: Daenen, Cirkel, Houthuijzen, Oosterom, Roodhart, Voest. Acquisition, analysis, or interpretation of data: Daenen, Cirkel, Gerrits, Roodhart, van Tinteren, Ishihara, Huitema, Verhoeven-Duif, Voest. Drafting of the manuscript: Daenen, Gerrits, Voest. Critical revision of the manuscript for important intellectual content: Daenen, Cirkel, Houthuijzen, Oosterom, Roodhart, van Tinteren, Ishihara, Huitema, Verhoeven-Duif, Voest. Statistical analysis: Daenen, van Tinteren, Huitema. Administrative, technical, or material support: Daenen, Cirkel, Houthuijzen, Gerrits, Oosterom, Roodhart, Verhoeven-Duif. Funding/Support: This work was supported by Dutch Cancer Society grant UU-2012-5712. Role of the Funder/Sponsor: The Dutch Cancer Society had no role in the design and conduct of the study; collection, management, analysis, and interpretation of the data; preparation, review, or approval of the manuscript; and decision to submit the manuscript for publication.